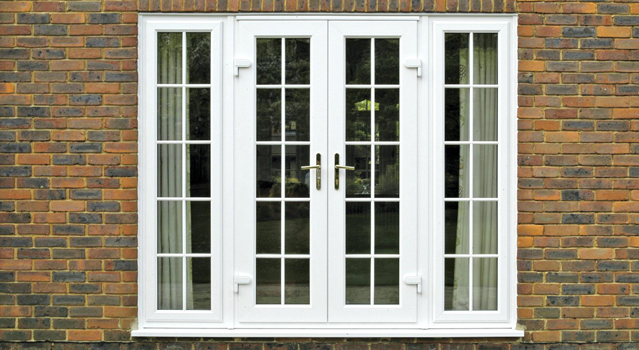 If you are looking for something to enhance your property from both the inside and outside why not consider French doors, the very same doors that added so much style to a French Chateaux may just do the same for your own home. So many choices are available from smooth white to textured woodgrains and colours. Choose single or multi panel, configurations and multiple glazing choices (double glazed as standard) and many hardware options in so many finishes. If the French could make their doors look stylish with a minimum of simple timber, clear single glazing and cast handles just think how stylish and elegant you can design your door, with all of the options currently available. What could be better than throwing open your personally designed French doors and stepping out in to the sunshine. The benefits of installing French doors are clear: the fact that there is no central mullion means the doors open into a wide, unobstructed space, filling the room with air and light and offering an uninterrupted view.